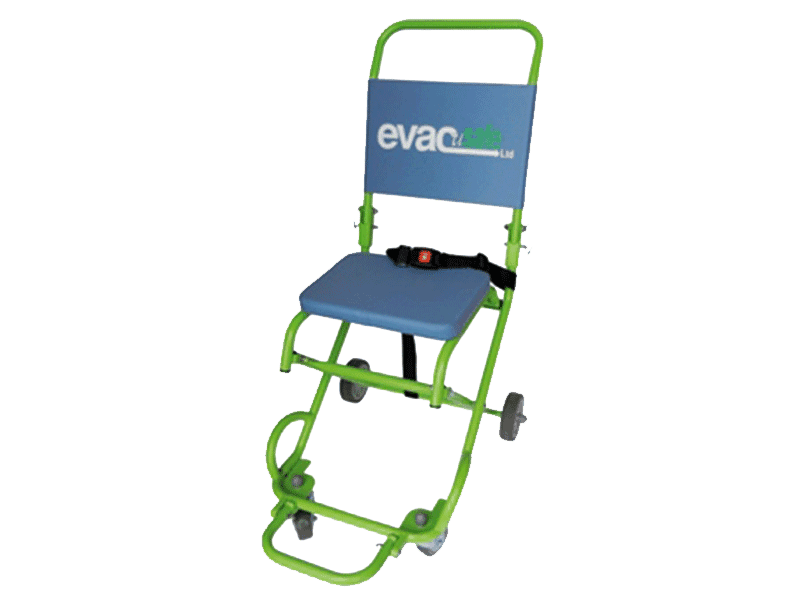 Private & Domestic Evacuation Chair Rentals; Evacusafe’s short-term transit chair rentals provide the ideal solution for those with a family member or friend with little or no mobility to attend that special occasion such as a wedding reception or holiday get together. With integrated handles and compact design, they enable a safe and comfortable method of getting a loved one up and/or down stairs and reduce the risk associated with using something like a wheelchair. The chair comes with a photo instruction sheet showing just how simple it is to setup and easy to use. The price includes delivery and collection and we can even arrange for the chair to be sent directly to the venue saving you the hassle of transporting it with you. Whether you need it for a single day/weekend or up to a week, give us a call on 01256 332723 to discuss your individual requirements.